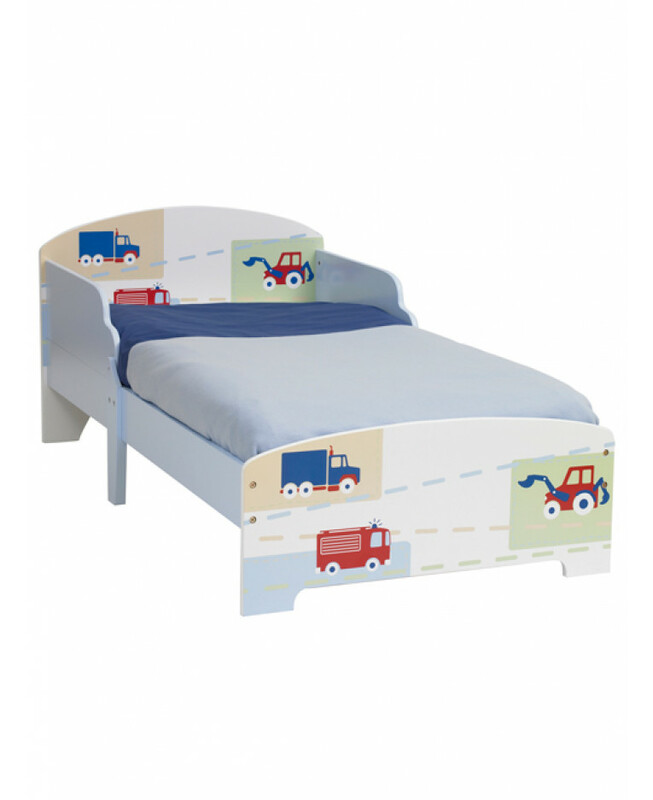 This classically designed toddler bed is a fantastic addition to any boys bedroom. The head and foot boards feature various painted vehicles including tractors and vans. 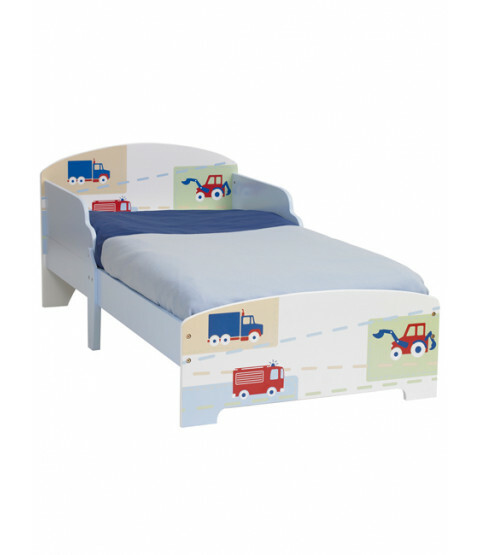 This bed is ideal an ideal transition from a cot and features protective side panels to stop bedtime tumbles. The easy to assemble bed is constructed from sturdy MDF with a slatted base. All components for assemble are supplied.